Ralph Northam yearbook page shows men in blackface and KKK robe | Breaking News | Style Weekly - Richmond, VA local news, arts, and events. Updated: Northam releases apology statement. Courtesy of Eastern Virginia Medical Schoo A half-page from the 1984 Eastern Virginia Medical School yearbook, photographed by The Virginian-Pilot on Friday, Feb. 1, 2019. NORFOLK- A photo from Gov. 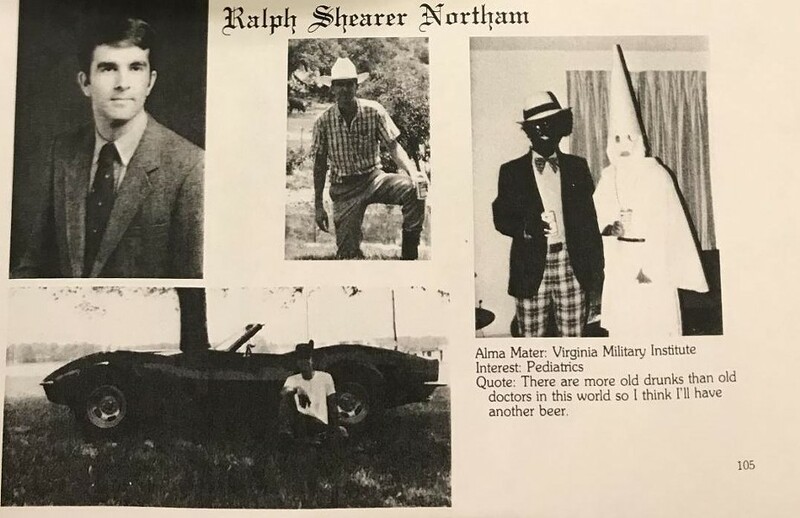 Ralph Northam’s medical school yearbook shows two men, one in blackface and one in a Ku Klux Klan robe and hood, on the same page as the governor.